India and Indonesia, two large, diverse ancient civilizations are separated only by a short geographical distance. Since two millennia, traders, scholars, artists, weavers and priests have led to enriching cultural exchanges. The first Indian migrants to Indonesia came primarily from Gujarat in India during the first Christian era and continued till the 16th century. In the 19th century, the Dutch brought Indians to work on plantations located around Medan in Sumatra. These included Hindus, Muslims and Sikhs, who are now assimilated with the local society over four generations, while still maintaining their cultural traditions. Another wave of Indian immigrants who made Indonesia their home in the first half of the 20th century were several thousand Sindhi families, when displaced during the India –Pakistan partition. They are mainly engaged in trading and commerce in major cities, including Jakarta, Medan, Surabaya, Bandung, Solo, Padang, Banda Aceh and Semarang. These sentiments are shared not only by Indonesians of Indian origin but also by the Indian expatriates, many of whom have been in Indonesia for many years. They have always felt at home in this wonderful country, which in demographic terms is almost a mirror image of India. The inflow of major Indian investments in Indonesia started in the late 1970s and drew a fresh wave of Indian investors and managers. This now includes engineers, consultants, chartered accountants, bankers, IT and other professionals. A number of Indian startups are also thriving in Indonesia. Indian technical skills are the wind below the wings of Indonesia’s first unicorn, GoJek. At present, approx 250,000 individuals of Indian descent are found across the Indonesian archipelago. There are over 40 different Indian associations registered with the Indian Embassy. These include the Indian associations in the cities across Indonesia from Medan, Jakarta, Bandung, Semarang, Yogyakarta, Surabaya and Bali. 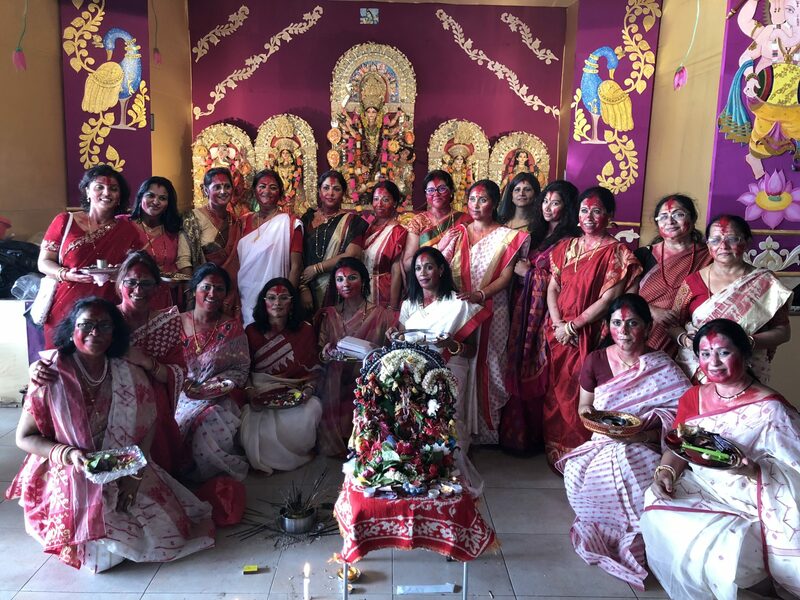 Others are the Indian Women’s Association, Indian Chamber of Commerce, regional associations, religious and faith-based associations, social and charitable organizations, schools, alumni and chapters of professional associations. 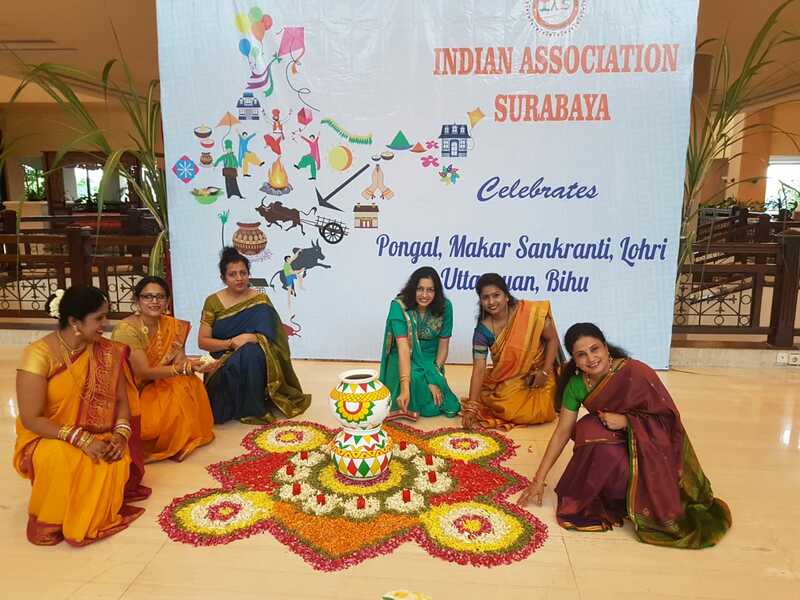 The India Club Jakarta since 1981 represents the Indian community in Indonesia and organizes a variety of events to connect, engage and entertain members. It collaborates with the various regional associations s to celebrate the rich cultural diversity of India through concerts, performances and three main events every year around Holi, Gala Deepawali eve and the Diwali Mela. 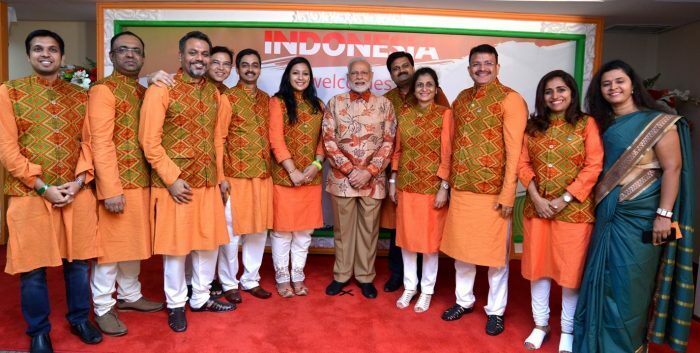 Besides advancing their own careers, members of the Indian community — both Indonesian citizens and Indian expatriates — are well integrated with Indonesia and have made significant contributions to their host country in many fields. They have always stepped up to provide a helping hand in case of natural disasters and for the betterment of the society. In the last year alone, with the many natural disasters that plagued Indonesia, many inspiring stories have emerged. Indian entrepreneurs and their staff have braved difficult conditions to reach the disaster areas in Palu after the Tsunami to provide aid not only in kind but through their physical efforts at ground zero. Meanwhile, all community organizations spared no efforts to raise funds and contribute at every instance. Reshma Bojwani has set up Saraswati Learning Center School for children with special needs in Jakarta since she believes that ‘ all children have right to education and to inclusion in society.’ The school has also opened the doors to an orphanage to support the differently abled under-privileged children. Over 50 Indian restaurants are found just in Jakarta. Indian Restaurants can also be found in most major cities of Surabaya, Bandung, Medan, Solo and even Semarang. There are a staggering over 40 Indian restaurants across Bali to cater to a growing tourist population. The Indian Embassy has established Cultural Centers in Jakarta and Bali, where Yoga, classical music and dance are taught. Indians are now are flocking to Indonesia as tourists especially to Bali with one million expected this year. Bali is also a favored wedding and honeymoon destination for Indians. Garuda Indonesia, the country’s national carrier, now has direct and non-stop Bali – Mumbai flights to cater to this segment. The opportunities available in resource rich Indonesia have always been a magnet for savvy entrepreneurs and the warm, friendly people make this country easy to like and live in. This friendship that has continued for over two thousand years is forging new ties for the two countries to support and grow together in the future.